The versatility of the Ultimate Sack 6000 Giant Bean Bag Chair with Footstool allows for a great alternative to sofas, recliners, and love seats. Whether you are looking for a place to lounge, play games, read, study, work, or watch the game, the Ultimate Sack is the answer. 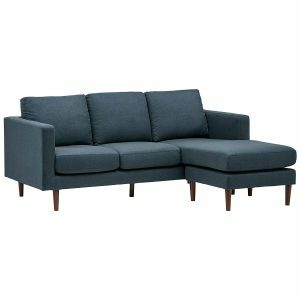 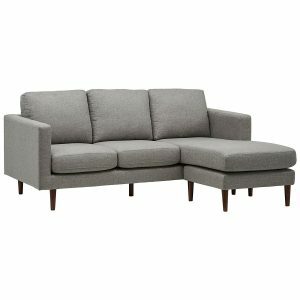 It makes a great addition to any theater room, dorm room, recreation room, or any area where time is spent relaxing with family or friends. 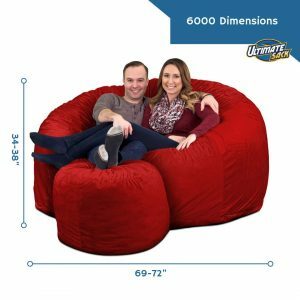 The Ultimate Sack 6000 Giant Bean Bag Chair with Footstool will undoubtedly prove itself as the “ultimate” product. 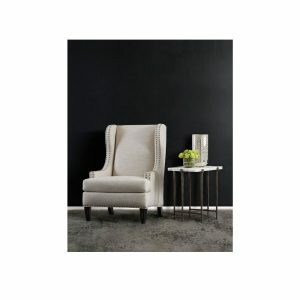 And the footstool makes a huge difference too, it’s an added element of comfort! 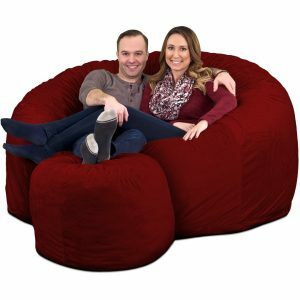 The Ultimate Sack 6000 Giant Bean Bag Chair with Footstool is a great place to stretch out after a long day or to hang out with some friends to catch a movie. This giant bean bag chair is a great spot to watch a game for all the sports fans out there. Ultimate Sack 6000 has material measuring approximately 6 feet in diameter. 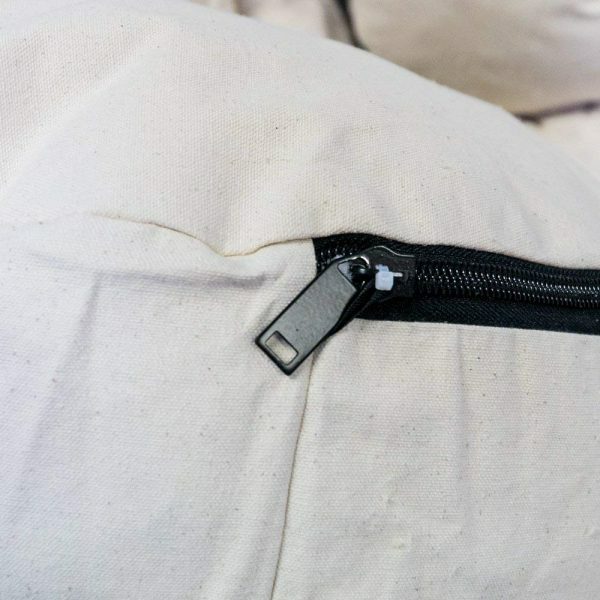 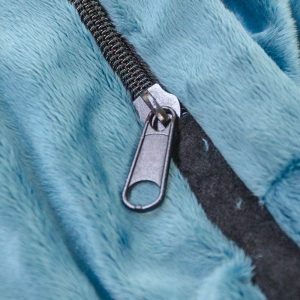 Depending on the surface of the floor and weight of the occupant, the Ultimate Sack 6000 Giant Bean Bag Chair will be between 69 and 75 inches across, and 34-38 inches in height when fully fluffed. The bean bag chair weights 65-70 pounds. Want to lean more about bean bag chairs? Read our full top 10 best bean bag chairs review and buyers guide. Lastly, check the Bean Bags Alert: Deals And Price Tracker to spot the best price, or simply discover our best giant beanbag chair top.